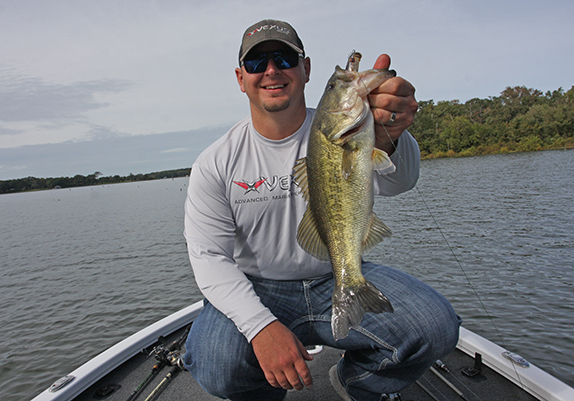 Ryan Patterson still fishes club tournaments around home in northern Arkansas, but his main gig now is selling boats for Vexus Boats. 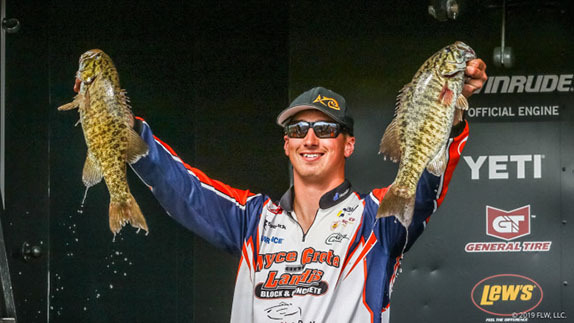 When Ryan Patterson won the FLW College Fishing national championship back in 2012, he figured a pro fishing career wasn�t too far off. 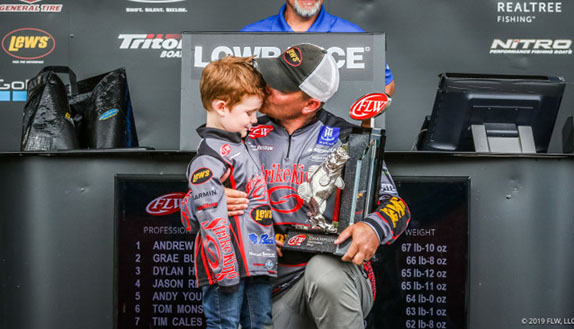 The victory earned him a $50,000 payday, a new boat and a berth in the Forrest Wood Cup later that summer to go up against some of the best anglers in the sport. Life was good for the then-Kansas State student. �I thought it would be the start of something big,� Patterson said. It was, but that something big wasn�t a career on the competitive side of the sport. As much as he was drawn to all of the aspects of tournament fishing, ultimately, he traded in his jersey for a logoed polo shirt and career on the sales and marketing side of the fishing industry. After a stint with Ranger Boats, Patterson left to become part of the team at Vexus Boats, where he now serves as the national sales manager. 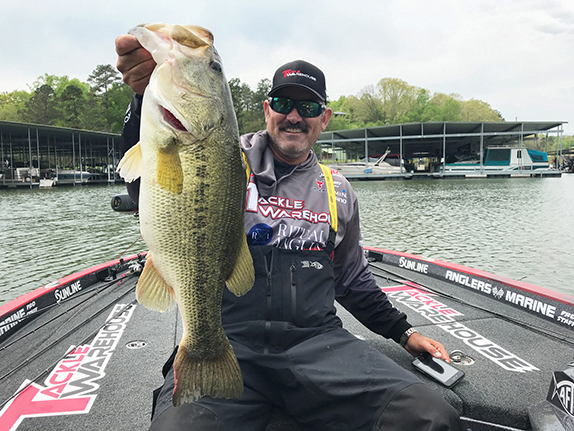 �I was ate up with it on the tournament side, but being a pro wasn�t meant for me,� Patterson said during a recent fishing trip at Lake Fork, where he showed off Vexus AVX2080, a 20-foot, 2-inch aluminum boat that looks, feels and fishes like a fiberglass rig. He credits his parents for helping him weigh all of his options several years ago and encouraging him to play the long game when choosing a career path. By the time Patterson bid farewell to Kansas State, he was starting to learn the inner workings of the boat-building industry. He did a summer internship at Ranger Boats in 2011 and returned for a second go-round in 2012 after winning the college title. The work he did was hardly glamourous, but he loved every minute of it. Originally from Kansas, Patterson�s summer landlord in Flippin, Ark., was pretty well known around town. It didn�t take long for Patterson to see for himself the work ethic that allowed Wood to build Ranger Boats into a premier boat brand, if not the premier brand, in the industry. After his second internship, he was offered a job at Ranger and worked his way to the role of sales manager. �I got in when the boat business started to pick back up,� he said. �I fell in love with the business overall. Being at the Classic, the Cup and dealer meetings in between. It�s all about relationships and the good people in the industry. After 5 years at Ranger, Patterson decided to reunite with Keith Daffron at Vexus, which is also headquartered in Flippin. Patterson said the response to the line of Vexus aluminum boats has been overwhelmingly positive and the company is hoping to build on that momentum with the release of its first fiberglass model early next year. �It�s more exciting than a feeling of pressure,� he said. �Innovation is what drives our industry. It�s about catching green fish and the things we�re doing at Vexus is going make me a better fisherman on Saturdays. It�s something he can see himself doing for a long time to come.